Proofpoint accounts have been created for everyone who has a ‘@cabrillo.edu’ Email account. To access your Proofpoint account (and to manage your Proofpoint Email filtering settings) you will need to create a new password. Use a complex password, but DO NOT use your existing Cabrillo network password. Proofpoint will operate in a similar fashion to what Cabrillo Email users experienced with the Postini Filtering service - users will receive a daily Quarantine Report, can customize their Filters, and can customize their settings. 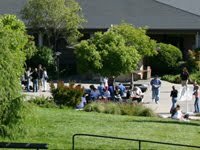 You should log in to your personal, password-protected Cabrillo College Proofpoint Portal as soon as possible. How Do I View My Quarantine?